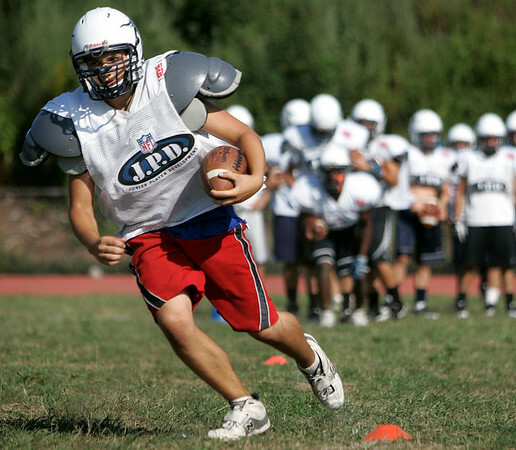 Jason Budde, a Peabody High School junior, practices running with the football during the third day of the NFL High School Player Development Program at Beverly High School. Photo by Mary Catherine Adams/Salem News. , Jason Budde, a Peabody High School junior, practices running with the football during the third day of the NFL High School Player Development Program at Beverly High School. Photo by Mary Catherine Adams/Salem News.